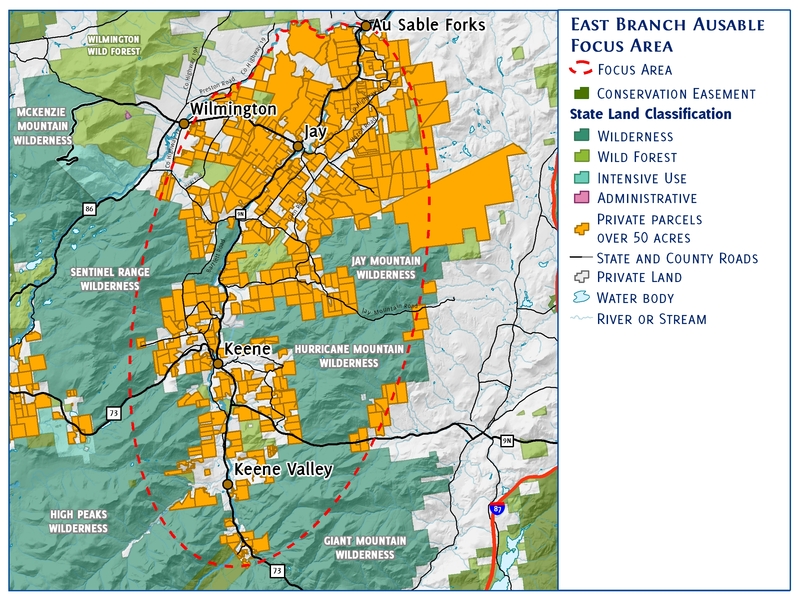 The East Branch of the Ausable River Basin Communities focus area includes communities along the East Branch of the Ausable River. 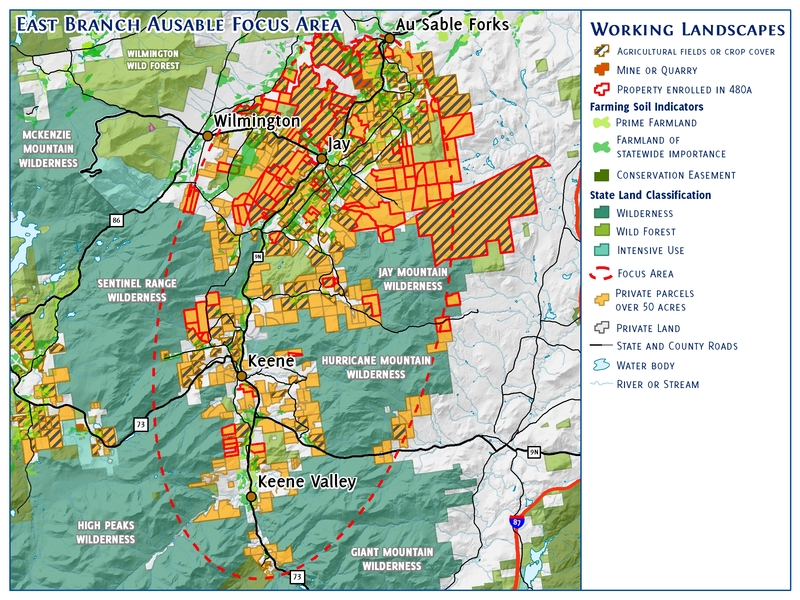 This area includes Jay, Upper Jay, Keene, Keene Valley, and portions of Wilmington and Au Sable Forks. Lake Placid Land Conservancy holds one conservation easement within this focus area. 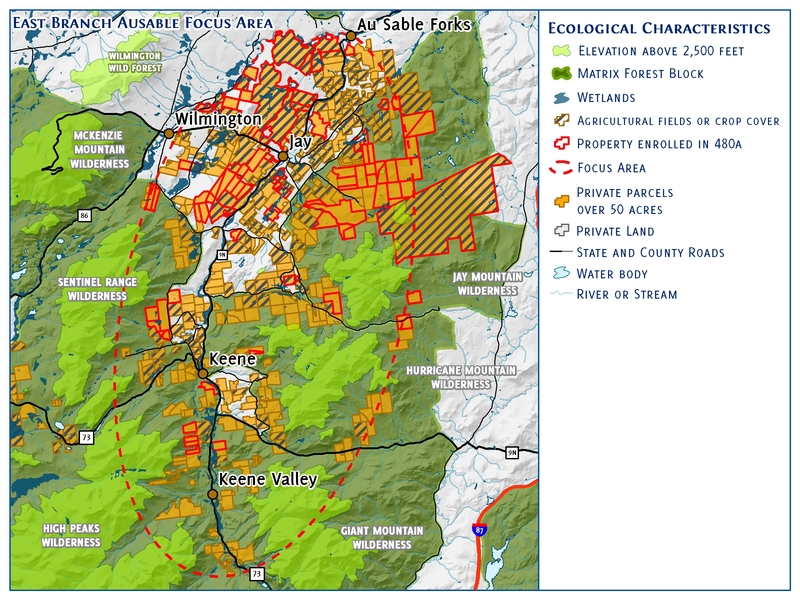 This base map shows the basics of relief, land and water characteristics, and parcel locations of properties under 49 acres and properties greater than 50 acres in size within the East Branch of the Ausable River Basin Communities focus area (EBA). 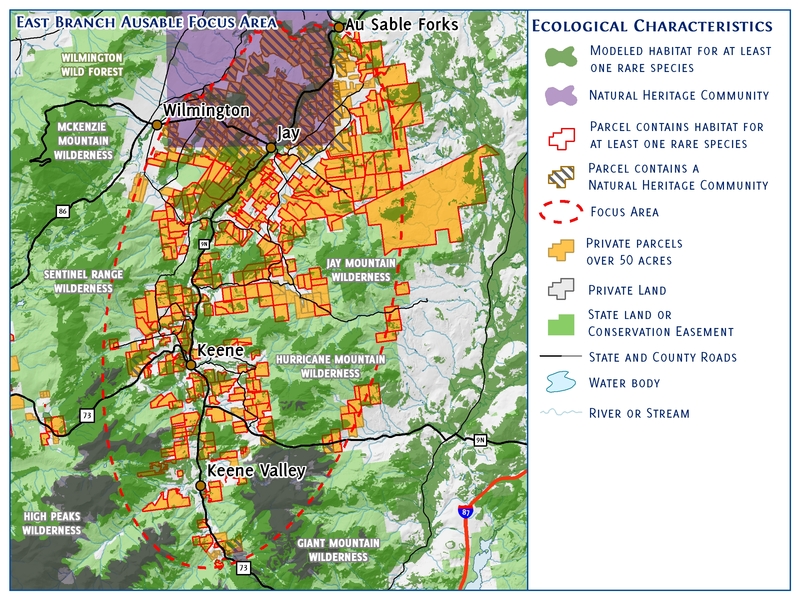 This map also shows the political distinctions among state and private land. Explore more EBA maps below.